If reports are to believed, the Times have reported that the owner, of Chelsea, Roman Abramovich is exploring the possibility of selling the West London club after 15 years. 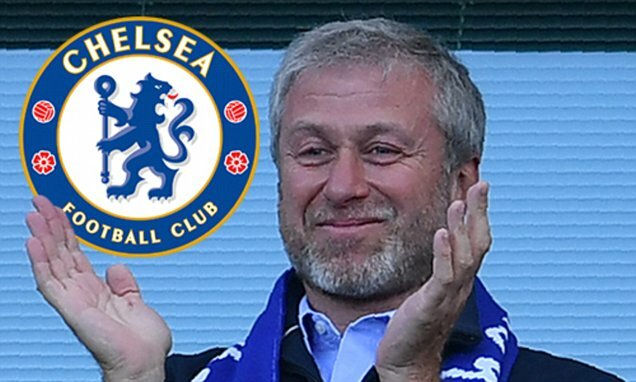 The Russian oligarch, who has overseen a dramatic change in the status of Chelsea since his arrival, has placed a price tag of £2 billion on the Blues of the Premier League according to further reports by the Sun. Recently. Roman Abramovich has rejected two approaches from investors to buy Chelsea. Earlier in the year, a bid from the owner of Ineos Chemicals, Sir Jim Ratcliffe, was turned down as the Russian was said to be holding out for an even higher offer. A second bid was made by a US private equity firm, Silver Lake Partners. It was reported that they were interested in purchasing a minority stake in the club. However, it now appears that Abramovich has changed his mind regarding the sale of the club and is willing to listen to offers more than £2 billion. The Chelsea owner’s change of mind is a result of his recent disputes with the UK government. The issue over the issuing of a visa to players and staffs. It is also obtaining the visa from other countries too. Abramovich recently obtained Israeli citizenship to enter the UK after a political row between Britain and Russia led to the suspension of permits for numerous high-profile Russian diplomats and people in the business. Abramovich also postponed on plans to renovate Stamford Bridge in a £500 million outline which would increase the stadium’s capacity to 60,000. The Blues have also noticeably changed their transfer policy recently, adapting to much more considered and careful approach during the transfer window. The Times is a very reliable source and it seems incredibly likely that Abramovich will sell Chelsea shortly. Previous bids indicate that his asking price will not detract potential buyers. We could also see the reigns of Chelsea in the hands’of new owners at the club by the end of this season. If a potential buyer meets the £2 billion-plus asking price for Chelsea, it would represent a world record takeover, overshadowing the £790 million paid by the Glazers for Red Devils 2006. There is reported business from buyers in the Middle East, US, and China with no clear frontrunner for the purchase as of yet.